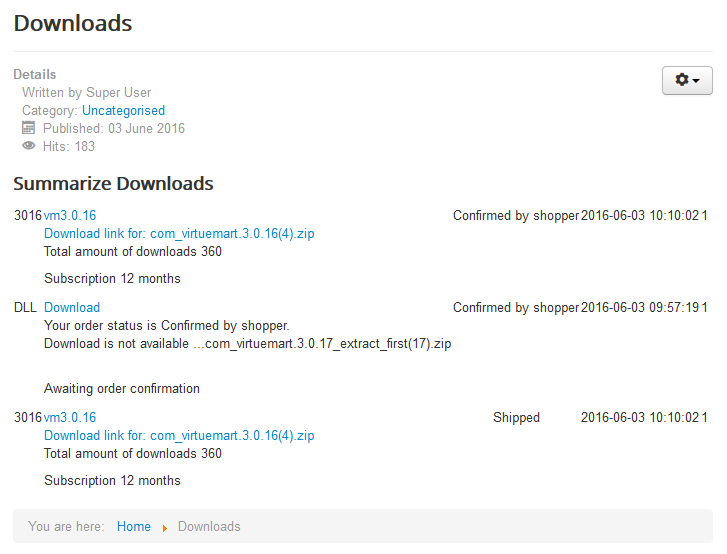 Show confirmed downloads or subscriptions to your shoppers in module layout. 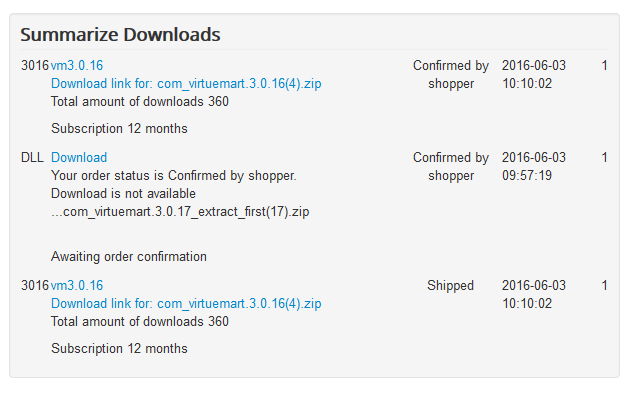 Extends iStraxx Shipment for virtual products plugin for VirtueMart 3. With this extension you show your shoppers their purchased virtual products listed in common joomla module on your template. All orders with same order status are summarized to keep overview of active downloadable items / subscriptions for your shoppers convenience. 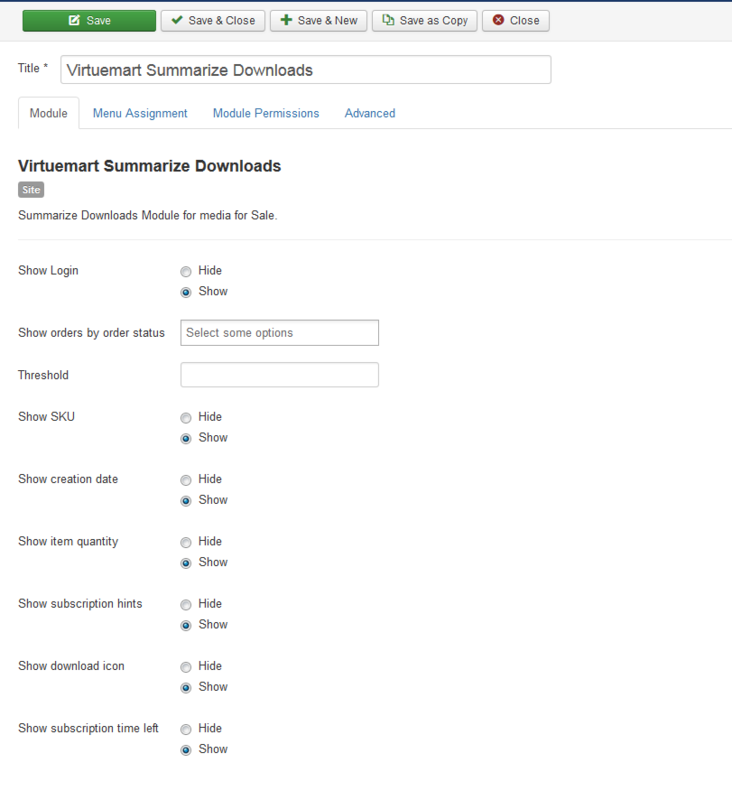 The module uses the customfield params of your iStraxx Shipment for Virtual Products plugin to display download information as known from our download plugin. Use module options to override the display of download entries. Of course you can create layout overrides for the module view following Joomla and VirtueMart override standarts to fit your style with customised views.